The US Navy is gearing to take its futuristic Railgun out of the lab where it has been tested for to past eight years. 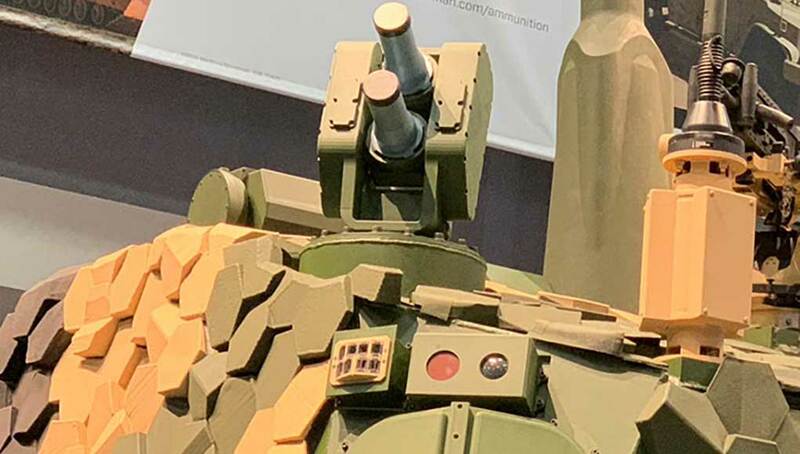 In the next biennium, these mighty weapons will be tested in open firing ranges and eventually at sea, where the futuristic electromagnetic gun will be able to demonstrate its full capacity to fire projectiles at targets 50-100 nautical miles (92 – 185 kilometers) away. 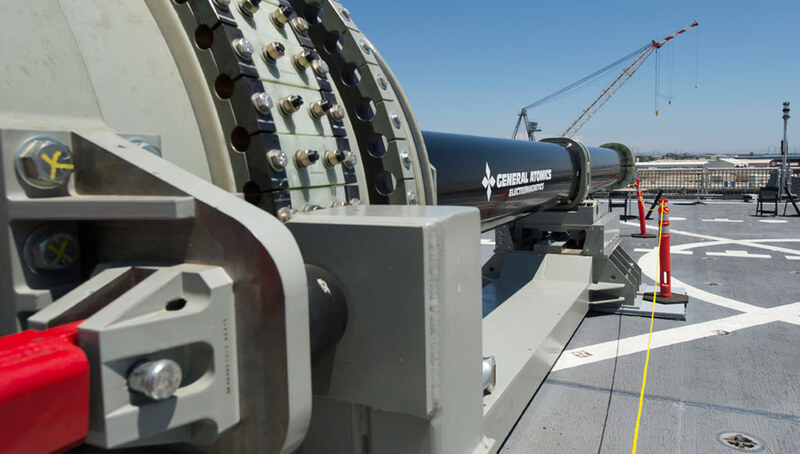 “The Electromagnetic Railgun is among several disruptive capabilities that the Naval Research Enterprise is championing to ensure a dominant, capable and relevant naval force for the future.” Chief of Naval Research (CNR) Rear Adm. Mat Winter said. A railgun weapon system includes the launcher, projectile; high-density pulsed power, and fire control system. A railgun weapon can launch multi-mission projectiles with shorter time-to-target and greater effectiveness at longer range. 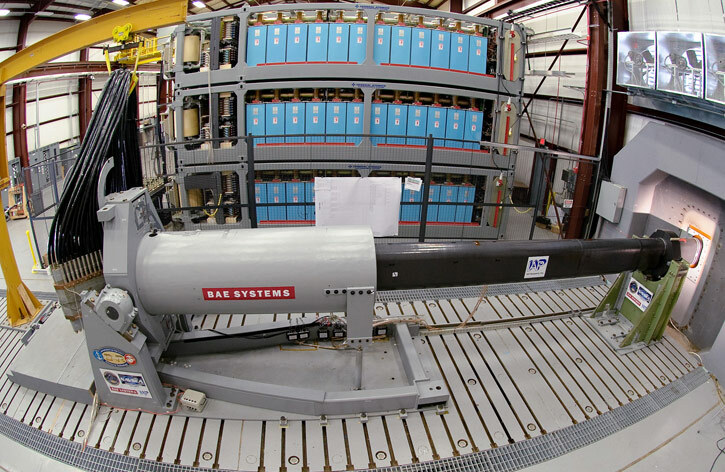 The Navy is evaluating two EM Railgun models. A 32-megajoule prototype built by BAE Systems and the 32 megajoule Blitzer developed by General Atomics Electromagnetic Systems (GA-EMS). The company has also developed a 3-megajoule railgun variant. In the future, the Navy plans to deploy railguns rated to 64-megajoule. A railgun can deliver muzzle velocities greater than twice those of conventional guns. Using electromagnetic power, where magnetic fields created by strong electrical currents accelerate a sliding metal conductor between two rails, the railgun achieves muzzle speeds of more than Mach 7.5 without the use of chemical propellant. 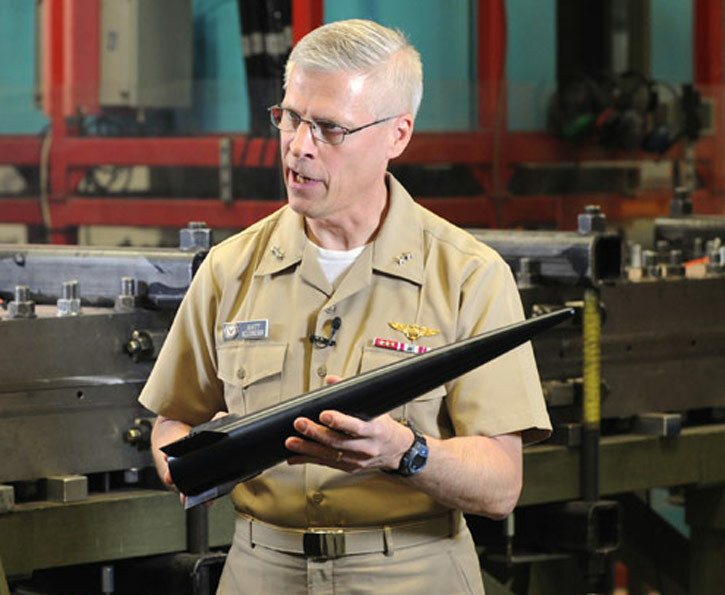 Rear Adm. Matthew Klunder, chief of naval research, shows the Hypervelocity Projectile (HVP). The next-generation projectile is designed as common, low drag, guided projectile capable of completing multiple missions for gun systems such as the Navy 5-inch, 155-mm, and future railguns. Photo: US Navy by John F. Williams. That velocity allows the weapon’s hyper-velocity projectiles (HVP) to rely on kinetic energy for maximum effect and reduces the number of high explosives and propellant carried on ships. Against specific threats, the cost per engagement is orders of magnitude less expensive than comparable missile engagements. It also minimizes the dangers of unexploded ordnance remaining on the battlefield. BAE Systems is developing the HVP under a separate contract awarded by the Office of Naval Research. 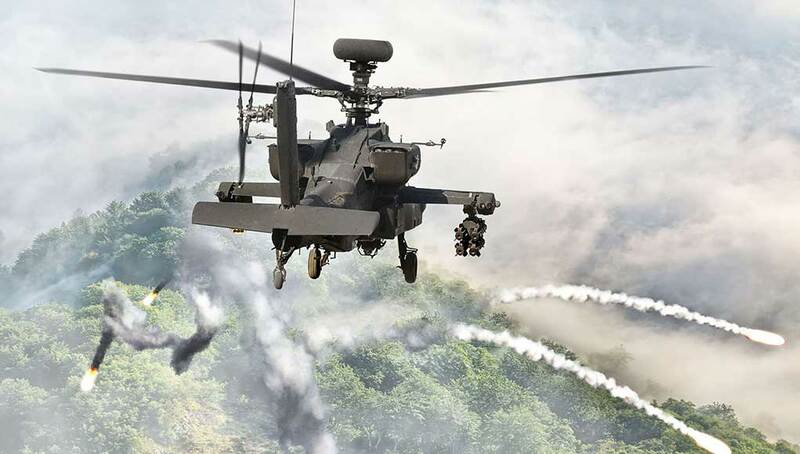 The new low drag, guided projectile will provide lethality and performance enhancements to current and future gun systems, including Navy 5-Inch; Navy, Marine Corps, and Army 155-mm systems and railguns. The HVP’s low-drag aerodynamic design enables high-velocity, maneuverability, and decreased time-to-target. HVP will have a range of more than 50 nm (93 km) from Mk 45 Mod 4 guns, and exceed 100 nm (185 km) from EM Railgun. The difficulty of deploying electromagnetic railguns might not lie in the technology necessary to build these weapons, but in producing the incredibly large amounts of electricity required for their operation and developing projectiles that can endure the enormous forces during acceleration. In 2010 the railgun developed by BAE Systems was tested to deliver a 33-Megajoule shot, the energy equivalent of firing a projectile at a 110 nmi range. Photo: US Navy. 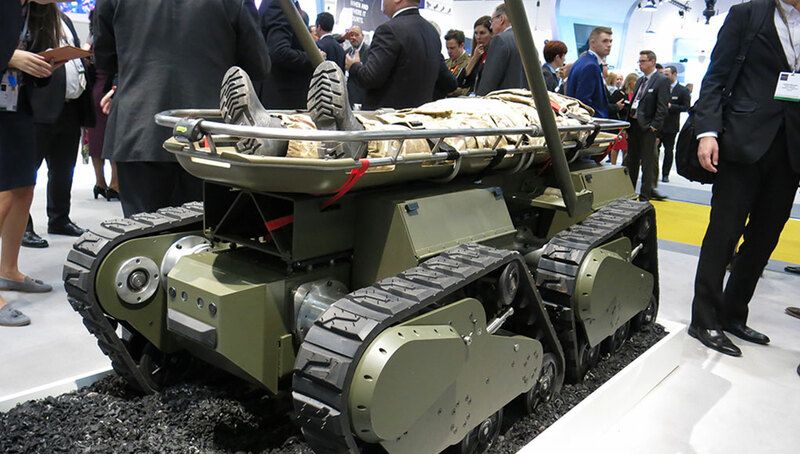 The first step toward mobilization of the new weapon was the delivery of the ‘Pulse Power Containers’ (PPC) – huge banks of capacitors or rechargeable batteries packed inside standard ISO containers. Each container packs enough energy to discharge 18 kilowatts for each shot. To enable the railgun to fire ten such shots per minute the PPC must recharge from the host ship in seconds and be able to store and discharge the energy in very short time while managing the thermal load generated by the process. 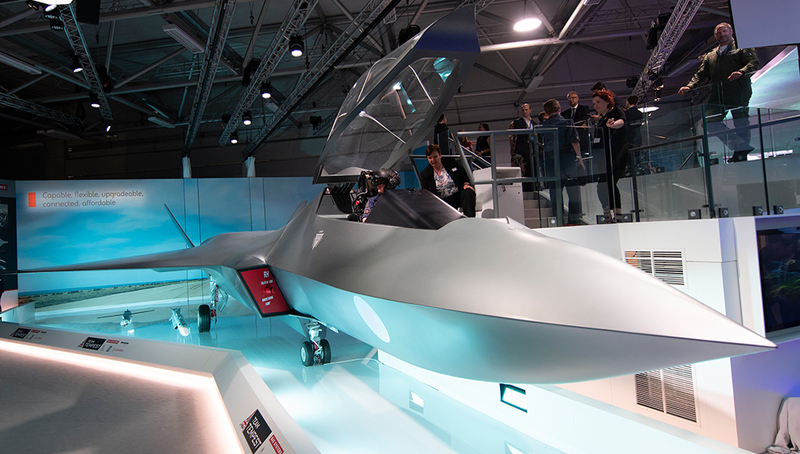 GE-AMS has already delivered a prototype of PPC for its weapon. Raytheon announced today the shipping of the first PPC units to the Navy. L-3 Applied Technologies is also expected to complete working on another version of PPC within a year. 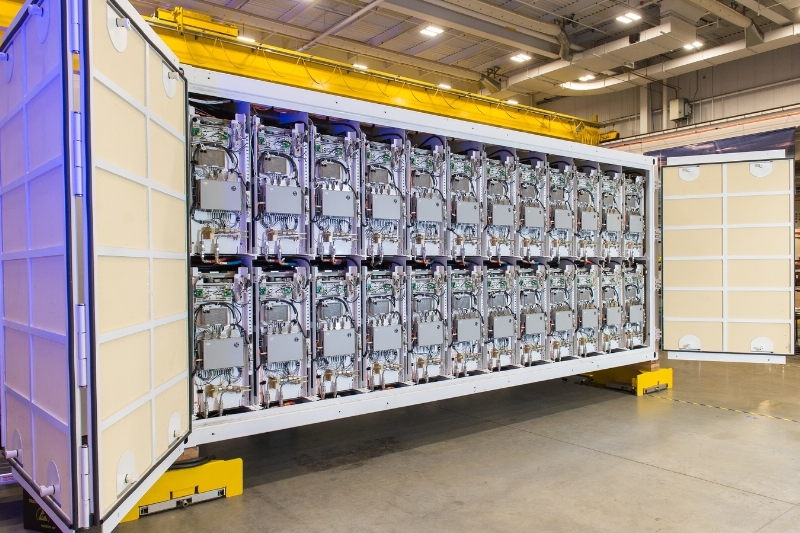 Raytheon has completed the first examples of containerized pulse power packs designed to support field tests of the electromagnetic rail gun. Photo: Raytheon. Another issue the Navy has tested is the endurance of onboard navigation and guidance electronics embedded into the projectiles. When launched by the railgun these systems are subjected on launch to extremely high loads of up to 30,000 Gs and extreme electromagnetic environment generated during launch. In tests held last year projectiles loaded with live electronic circuits have been tested by GA-AMS successfully measured in-bore accelerations and projectile dynamics, for several kilometers downrange, with the integral data link continuing to operate after the projectiles impacted the desert floor. 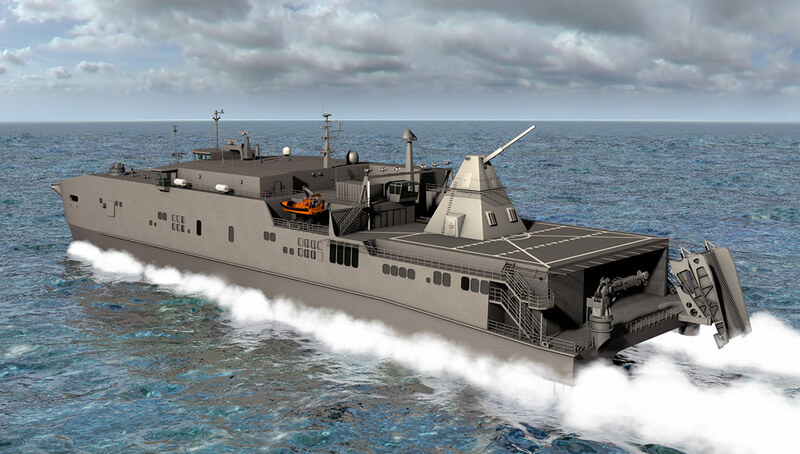 An artist’s rendering shows the Office of Naval Research-funded electromagnetic railgun installed aboard the joint high-speed vessel USNS Millinocket (JHSV 3). Illustration: U.S. Navy. The Navy plans to test the new gun on one of its naval platforms. Initially, the platform of choice for the trial was expeditionary fast transport USNS Trenton (JHSV-5). However, since the test planned for 2016 is likely to be postponed until next year, Navy officials are recommending to push back the test a year further, and install the new rail gun on the third Zumwalt-class destroyer Lyndon B. Johnson (DDG-1002) where it will be used operationally. USS Trenton is a logistical transport ship that will not become an operational platform for the new gun. Each of the three Zumwalt-class destroyers has two Advanced Gun Systems (AGS) mounting the BAE Systems 155/62 gun. 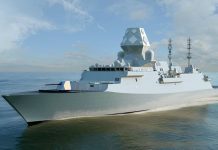 The first two of the class, DDG 1000 and DDG 1001 will use the standard AGS but the last ship in this class, DDG 1002 could have the AGS in the first battery and the railgun in the second (rear). 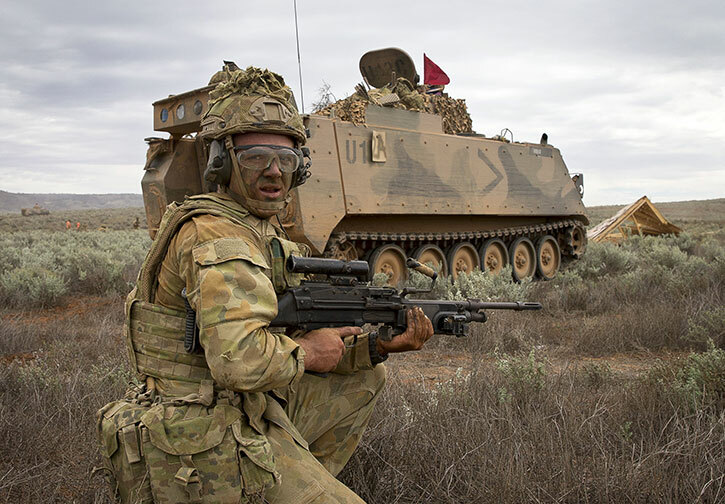 Both guns will be able to fire the hypervelocity projectiles designed for the rail gun, but the AGS will also be able to fire the Long Range Land Attack Projectile (LRLAP) – a guided munition developed by Lockheed Martin, as well as standard 155mm projectiles. While the Railgun was developed for naval applications, it is also considered for coastal defense and counter – rocket, artillery and missile defense (C-RAM) applications. The PPC power source could become a critical factor in a land-based deployment of the railgun, as it enables fixed system to expand both railgun energy level and shot sequence, allowing for larger systems resulting in greater effective range. In such land-based installations, it would be used in fixed installation that will provide affordable, high capacity defense against massive threat raids of ballistic and cruise missiles. As such it will be used to reinforce tiered missile defense, providing terminal defense of key fixed assets. 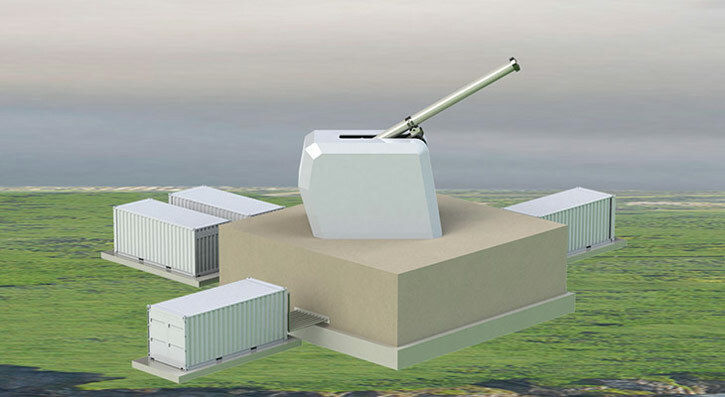 The footprint of a land-based fixed railgun system has greater expandability than a shipboard or mobile application, allowing for larger systems resulting in greater effective range. A land-based fixed railgun system, integrated with other national assets, provides added capability in a layered defense architecture. Illustration: General Atomics. Next articleSuccessful Indian Missile Intercept was in fact a Failure!